On the eve of the nineties Thomas starts his trio that develops into his working band par excellence. The trio becomes his laboratory where he examines and tests his possibilities, where he experiments with new formulas, where his own boundaries are challenged. Summer 1989 the Thomas Chapin Trio debuts at The Gas Station in New York's East Village. Bassist is Mario Pavone, who has already formed a close bond with Chapin because of various previous projects they have worked on together, on drums is Pheeroan AkLaff. The trio performs at this small festival organized by Bruce Lee Gallanter, founder of Downtown Music Gallery, a prominent new-music record store in New York City. A half year year later, in December 1989, Gallanter gives them the opportunity for their first concert at Michael Dorf's iconic downtown club, the Knitting Factory, that just exists two years, and became, just as CBGB’s and The Kitchen, the new temple for the New York avant-garde and alternative music. 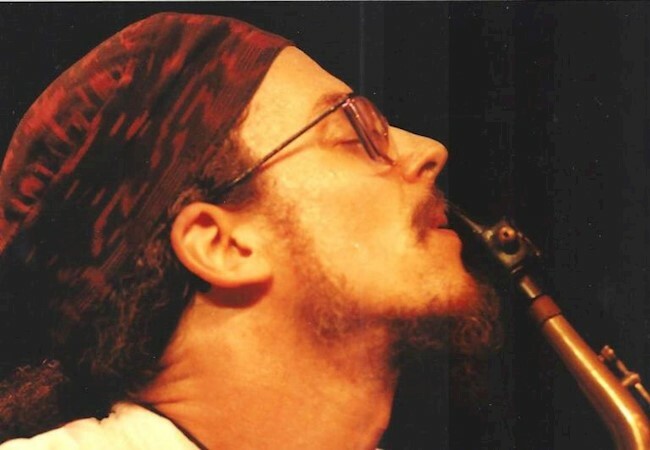 A recording from that concert can be heard on the compilation “Live At The Knitting Factory Volume 3”, and is the start of a close relationship between Thomas Chapin and the Knitting Factory Records label which lasts until Chapin's death in 1998. Chapin’s the first artist with an album of his own on the label that was founded in the beginning of the nineties. He’s also the one with the most albums under his own name for the label. In the meantime it’s now Steve Johns on drums. He stays two years with the trio and plays on two albums with Chapin and Pavone: “Third Force” in 1991 and “Anima” in 1992. The trio’s proper sound, their own language based on compositions and arrangements by Thomas Chapin, slowly matures and seems to come in full bloom, with the arrival of drummer Michael Sarin. He already appears as second drummer on “Anima”, but in 1992 he replaces Johns and gives birth to the definitive version of the Thomas Chapin Trio. For the next six years, this triumvirate plays as a jazz beast with three heads: Chapin, Pavone and Sarin are in perfect match, improvisation and composition are one whole, jazz tradition and free experiments fit nicely together. They sound, in critic Kevin Whitehead’s words, as “hotly, vamping post-free jazz”. In December 1992 the Chapin trio records a CD with six horns. It is the first time Thomas experiments with a larger ensemble of brass players and this gives the trio compositions a new dimension. It results in “Insomnia”, considered a brilliant and outstanding album with Al Bryant, trumpet, Frank London, trumpet, Curtis Folkes, trombone, Peter McEachern, trombone, Marcus Rojas, tuba and Ray Stewart, tuba. The music goes from typical New York avant-garde from the nineties to more mainstream jazz in which he can use the experiences from his Hampton period. And in addition he shows his ability as an arranger and composer from open themes with a lot of improvisation space. Four years later he extends the trio with a string section on the CD “Haywire” which receives similar accolades and praise for another expanded trio assemblage with Mark Feldman, violin, Boris Rayskin, cello and Kiyoto Fujiwara, bass. It includes a beautiful , haunting rendition of 'Diva,' a composition by Italian jazz trumpeter Enrico Rava.